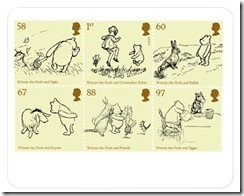 Royal Mail has recently launched some new stamps featuring some of the best loved characters from Winnie the Pooh. 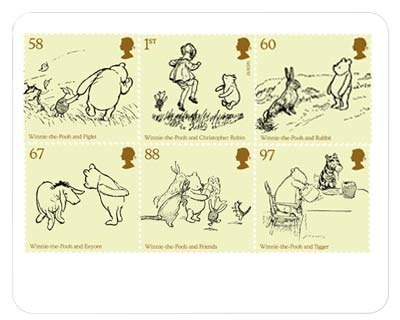 The stamps feature EH Shepard's original illustrations of Winnie the Pooh and include Christoper Robin, Tigger, Piglet, Eeyore, Owl, Rabbit, Kanga and Roo. You can purchase them online from Royal Mail.